Wild Colonial Spanish mustangs on the Outer Banks of North Carolina. Photo by Wild Horse Adventure Tours; Picture Gallery (use permitted with attribution). Wild Colonial Spanish mustangs; [file:field-file-main-description] Photo by [file:field-file-photographer]/[file:field-file-source] ([file:field-file-license]). 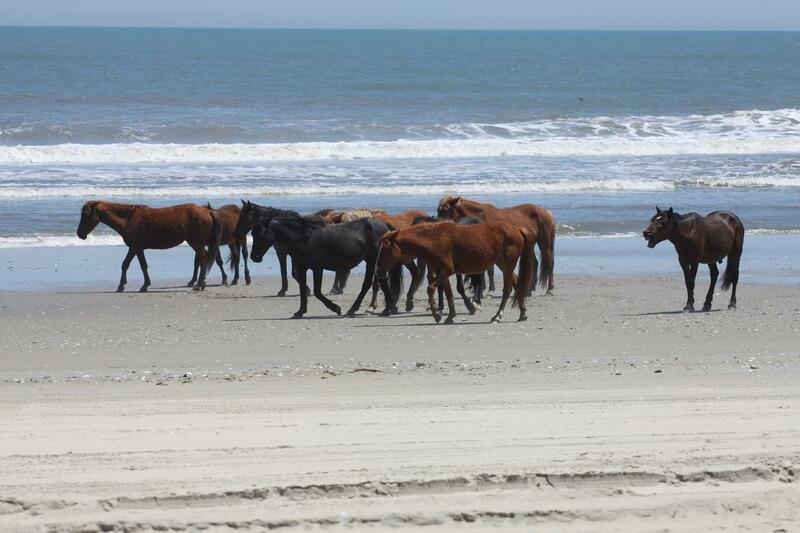 Wild horses have roamed North Carolina’s Outer Banks for hundreds of years. They are the direct descendants of Colonial Spanish mustangs brought by Spanish conquistadors in the 16th century. These unique horses are critically endangered, in fact nearly extinct. 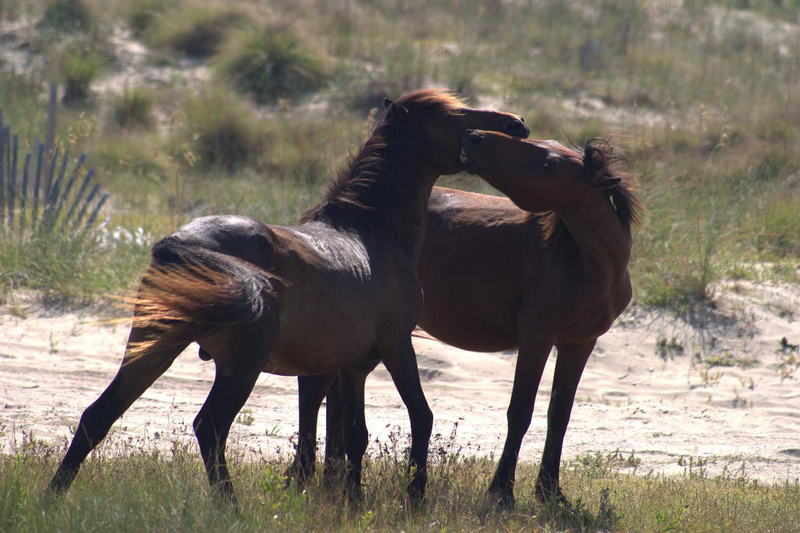 Corolla Wild Horse Fund has been instrumental in passing the Corolla Wild Horses Protection Act which guarantees the herd number of around 130 horses, a number needed to prevent genetic erosion which would endanger their reproduction. 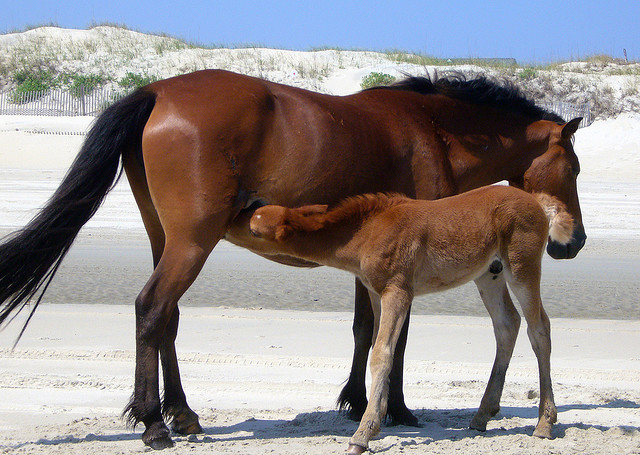 Mother and foal; Spanish mustangs in Corolla, Outer Banks, North Carolina; photo by Michelle W (ImaginaryGirl) on Flickr (noncommercial use permitted with attribution / share alike). Herd of wild Colonial Spanish mustangs on the Outer Banks of North Carolina. Photo by Wild Horse Adventure Tours; Picture Gallery (use permitted with attribution).